Eric Singleton Campbell was born April 9th 1987 in Norwich, Connecticut. Norwich is located just under three hours from New York City. He was twice an All State player at Norwich High School then moved on to Boston College. He was a fine hitter there hitting over .300 getting signed by the New York Mets in the 8th round of the 2008 draft. 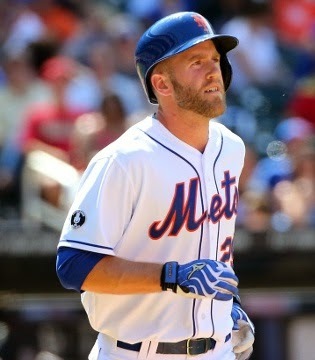 He began his career with the A Ball Brooklyn Cyclones playing third base while batting .260 in 2008. The next year he spilt time with the Savannah Sand Gnats & St. Lucie Mets playing mostly first base. By 2012 he was at AA Binghamton playing first base & outfield batting .297. He made the All Star team & drove in the games winning run with a base hit in the bottom of the 9th inning, earning him the games MVP Award. That year he finished in the top ten in batting & top five in on base %. In 2013 he was at AAA Las Vegas with the 51s, with 8 HRs 25 doubles & 66 RBIs while batting .314 in 66 games. He was 7th in the Pacific Coast League in batting average (between Wilmer Flores & Abraham Almonte) he led in on base % & was 9th in walks (66). He spent 2014 with the Mets at Spring Training & had a fine showing. He started the year back with the 51s, hitting .353 with 24 RBIs in just 33 games. He was brought up to the Mets on May 10th, as a versatile bench player, with Josh Satin getting demoted. Campbell got one at bat in his MLB debut in a 5-4 Mets loss to the Philadelphia Phillies that same day. The next day he got his first start & also his first career hit, as the Mets won this one 5-4. 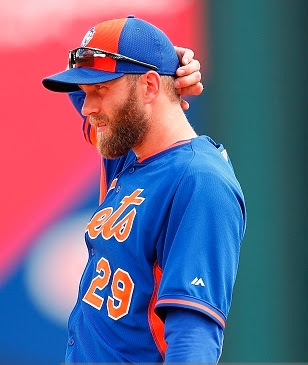 On May 12th he came in a pinch hitter in the subway series at the Bronx, he doubled off Matt Thorton and came in to score the tying run on Lucas Duda's base hit The Mets went on to a 9-7 win. Over the next week he would get two starts in the home series against the L.A. Dodgers, he would get two hits a HR & two RBIs in the series. By early July he had a personal even game hit streak, where he hit safely in 11 of 15 games, raising his average to a season high .340. He kept his average up over the .300 mark into mid August, seeing decent playing time. 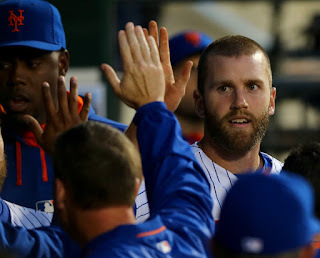 On August 15th, he hit a three run HR off Travis Wood, scoring all three runs in the Mets 3-2 earning Zack Wheeler a victory. Later that week he hit another HR, a solo shot at Oakland in an 8-5 Met win. He cooled off in September and finished off the year with a .263 average. He hit 3 HRs with nine doubles 50 hits 16 runs scored & 16 RBIs. In 23 outfield games he posted a 1.000 fielding % with two assists. 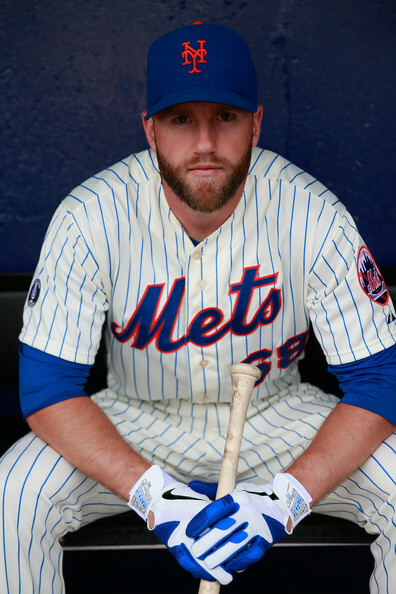 In 2015 after David Wright went down with injury in early April, Campbell started seeing playing time at third base. He drove in runs in three of his first five games & put up a good on base % into early May. 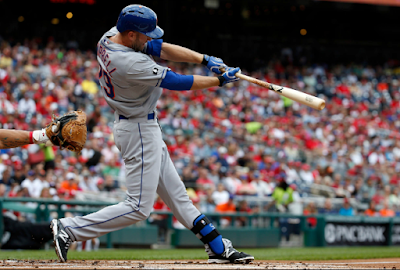 He hit a HR in Matt Harvey's 8-2 win over the AL New York club in the early edition of that years subway series. Campbell struggled at the plate & saw his average fall below .200 through the end of July, where he was at .176. As the Mets offense struggled up to that point, it was apparent that Campbell was not ready to be an every day major league player & certainly no Wright's replacement. By the trade deadline, the Mets acquired Kelly Johnson & Juan Uribe to help solidify the Mets infield. Campbell's days were numbered he was back in the minors returning as a September call up. He saw limited action, having his best day on September 27th where he had three hits with a walk, scoring three runs in an 8-2 Mets win. He finished the year batting .197 with 3 HRs 8 doubles &19 RBIs. Campbell played 48 games at third base, five games at first base & four games in the outfield. Campbell was on board for Mets Spring Training 2016. In his first 14 games he was batting .296 with ten walks & a pair of doubles. When the Mets waived Ruben Tejada goodbye, it seemed likely Campbell would make the roster. In April he got just one hit in nine at bats finishing the month at .111. 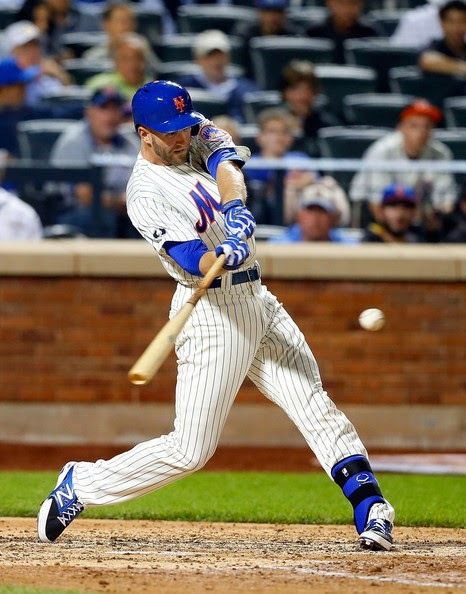 In May he had three multi hit games & hit a three run HR on May 24th, in a Mets loss to the Nationals. He slumped to .159 at the end of May & was up & down to the minors. 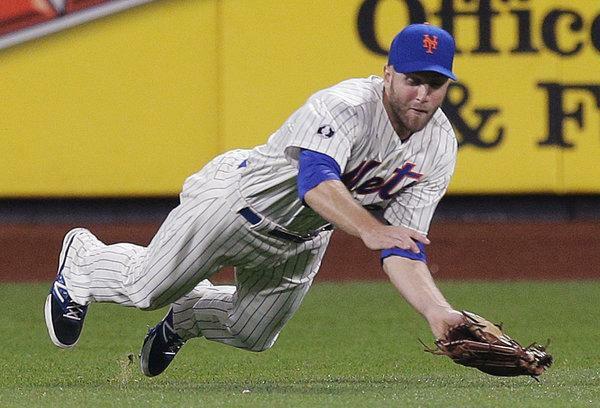 When the Mets acquired James Loney there was no room for Campbell, especially when the Mets got Jose Reyes back. He spent three months down at AAA Las Vegas returning to the big league club for the Wild Card run in September. In ten games that month he got three hits with four RBIs. Overall he played at third base, in the outfield & one game at second base. In 40 games he batted .173 with one HR & Nine RBIs. In the off season he was out righted off the Mets 40 man roster & assigned to AAA Las Vegas. Japan: He then signed a deal to play in Japan with the Hanshin Tigers for 2017. He had difficulties in Japan, first battling gastroenteritis & then injuring his wrist. 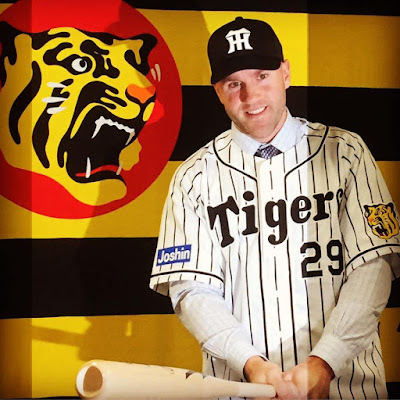 He wasn't familiar with Japanese pitching, saying that there are more spin rates than with American pitchers. In 2018 he signed a minor league deal with the Miami Marlins but became a free agent at the end of the year. He then signed on with a minor league deal for the Oakland Athletics in January 2019. Family: Eric married his childhood sweetheart Kristin in their hometown of Norwich, Conn. in 2014.